You may be familiar with mold from the bathroom or shower stall. These are sometimes greyish or even green in color and they thrive in damp and humid environments. They are present all year round and do more harm to the body than people know. There are different kinds of mold that can grow inside your home. Some can reside under the kitchen sink, others inside your air ducts, hence having professionals regularly clean and inspect them can be a real life-saving solution. Stachybotrys mold, for example, grows on paper, dust, lint, pieces of wood and so on. Other types of mold thrive on food and carpets and even drywall. Many kinds of mold produce toxic byproducts, which can cause serious health problems, so getting rid of them as quickly as possible is key. The visible parts of such mold are often easy to clean, however, the rest of them, which can lie deep down inside air vents or shafts will still need to be removed. Proper air duct maintenance allows you to find stubborn mold colonies that may be growing in the damp and grimy vents inside your home or office, and get rid of them without posing a health risk to any person involved. Home air filter cleaning also prevents the accumulation of dampness, dirt and other particles that may, in turn, become a breeding ground for mold. When inhaled, the spores from these mold colonies can cause allergic reactions and could be fatal in some cases. Allergens can constrict air passages and cause a person to go into shock. There have been many cases where toxic spores were inhaled and have caused respiratory problems. 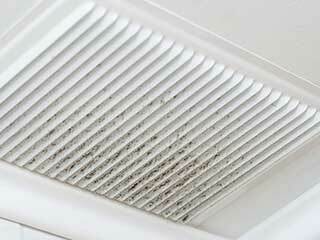 If your air vents and ducts have gotten too dirty and they are no longer functioning as well as they should be, it may be time to consider getting your air filter professionally replaced. Depending on if it's your home or your business, the health of your loved ones or your employees may become compromised by the presence of various types of mold. Regular cleaning can prevent allergies and toxic mold poisoning. Be sure to contact our team at Air Duct Cleaning Canyon Country to make sure your air ducts are mold-free! If you have any type of allergies, asthma, or other troubles with breathing, cleaning your air ducts is a must. The dust and dirt that accumulate in your ducts as they work to provide your home with heat and air conditioning can be a huge problem for anyone with these conditions. Call today, and let our experts help! Thank you for choosing our company! Feel free to browse our website for more information in the meantime. Our team at Air Duct Cleaning Canyon Country is at your service any time!